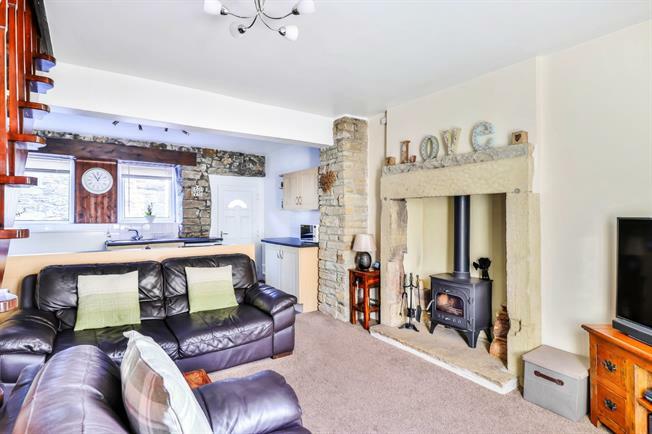 2 Bedroom Terraced Cottage For Sale in Colne for Offers in the region of £120,000. A superb two bedroom cottage presented to a high standard throughout, this property simply must be viewed to fully appreciate the standard on offer, briefly comprising; spacious lounge with stunning original fireplace open to a well equipped kitchen, cellar/workshop, two well proportioned bedrooms and fantastic modern family bathroom. Externally is a paved courtyard to the rear of the property. Double glazed window. Radiator, feature light and ceiling light. Wall and base units, inset sink, integrated oven, integrated hob, overhead extractor, fridge/freezer. Double glazed window. Radiator, ceiling light. Low level WC, panelled bath, shower over bath, vanity unit and wash hand basin, extractor fan.